This year, Oct. 1–7 is Mental Illness Awareness Week, a time to shine a light on mental illness and replace stigma with hope. Each year we fight stigma, provide support, educate the public and advocate for equal care. You can get involved at www.nami.org/miaw. One in five adults experiences a mental illness in any given year. Those problems can contribute to onset of more serious long-term conditions such as major depression, bipolar disorder or schizophrenia. 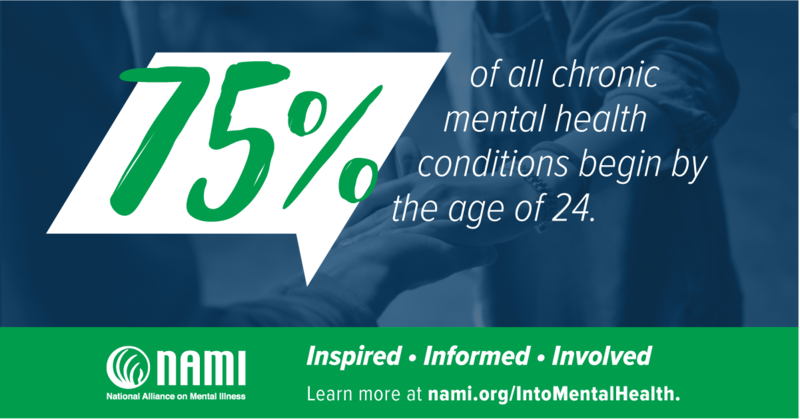 Approximately one-half of chronic mental illness begins by the age of 14. Unfortunately, long delays—sometimes decades—often occur between the time symptoms first appear and when people get help. During Mental Illness Awareness Week, there will be many opportunities to learn more and provide support. In addition, as part of Mental Illness Awareness Week, National Depression Screening Day will be held on Thursday, Oct. 5. Organizations around the world are encouraged to offer free, anonymous questionnaires that can help individuals identify potential signs of depression. Learn more at www.mentalhealthscreening.org/programs/ndsd. 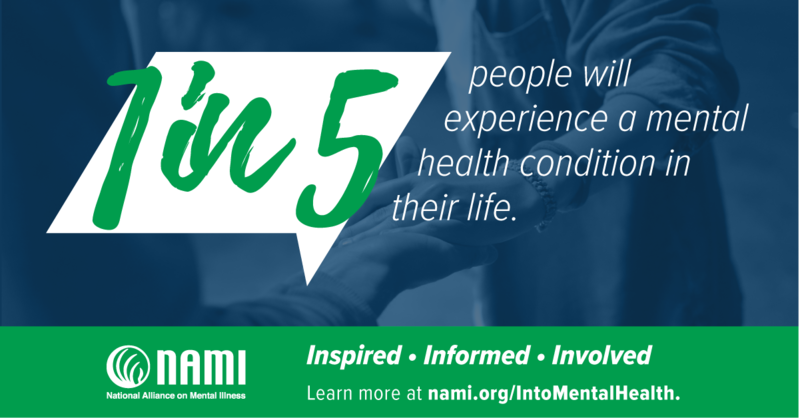 NAMI offers helpful information through its website (www.nami.org) and HelpLine (800-950-NAMI (6264)). With affiliates in hundreds of communities nationwide, NAMI also offers free education classes and support groups. Anyone who experiences symptoms of mental illness should see a doctor to discuss and be checked for possibly related physical conditions. The next step might be referral to a mental health specialist. Many treatment options exist. During Mental Illness Awareness Week, please take the first step by taking the #StigmaFree Pledge at www.nami.org/stigmafree. Help yourself, your family, your friends and your community. Help make a difference by saving lives and supporting recovery.